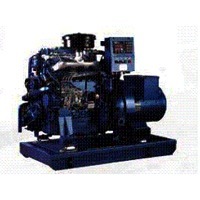 Browse marine-engines suppliers by country and region. Short on time? 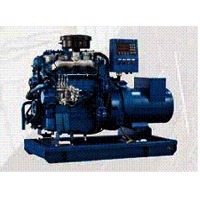 Let marine-engines sellers contact you. Cummins 3904408 valve shaft guide Quick details Place of origin: china (mainland) Brand name: cummins Model number: 3904408 Type: valve shaft guide Specifications Original cummins engine parts Cummins dcec ccec xcec Competitive price Oem standard Made in china or import Packaging & delivery Packaging detail: cummins packaging or neutural package or the package as required Delivery detail: 3~15 days after receipt of payment We are a professional supplier of cummins generator and aftermarket , involved in: Nt855, nta855, kta19, m11, l10, qsk19, kta38, kt38, kta50, kt50, 4bt, 6bt, 6bt5.9, 6ct, 6ct8.3, l345, n14, nh250, nh220, vt28, ism11, qsm11, isb, isl, etc.. We are now looking forward to even greater cooperation with overseas customers based on mutual benefits. Please feel free to contact us for more information. Any trouble with spare parts?here comes top-branded green products from cummins Are you looking for top brand auto disel engine spare parts, Here, maybe we can be your idealest business partner.Just palce a samll order one time , we 'll be long-term parter .You must know it's a wise choice. Shanghai Monarch Power Engineering Ltd.
Cummins 6CT 6CTA 6CTA8.3 marine disel engines. Cummins marine diesel engine for vessel and boat Engine Series Engine Model So Number Rated Power Max Power Cummins marine diesel engine for vessel and boat (HP/RPM) (HP/RPM) cummins marine diesel engine for vessel and boat KT38-M KT38-M800 SO60008 727/1744 800/1800 cummins marine diesel engine for vessel and boat KT38-M KT38-M600 SO60136 546/1744 600/1800 cummins marine diesel engine for vessel and boat KT38-M KT38-M800 SO60137 727/1744 800/1800 cummins marine diesel engine for vessel and boat KT38-M780 KT38-M780 SO60170 cummins marine diesel engine for vessel 780/1800 cummins marine diesel engine for vessel and boat KT38-M780 KT38-M780 SO60187 cummins marine diesel engine for vessel 780/1800 cummins marine diesel engine for vessel and boat KT38-M600D KT38-M600 SO60186 545/1744 600/1800 cummins marine diesel engine for vessel and boat KTA38-M0 KTA38-M900 SO60135 818/1744 900/1800 cummins marine diesel engine for vessel and boat KTA38-M0 KTA38-M900 SO60141 818/1744 900/1800 cummins marine diesel engine for vessel and boat KTA38-M1 KTA38-M1000 SO60155 909/1744 1000/1800 cummins marine diesel engine for vessel and boat KTA38-M2 KTA38-M1200 SO60180 1091/1744 1200/1800. Cummins engine Model Rated Power&speed (kw/rpm) Max Power&speed (kw/rpm) Air intake method cummins marine diesel engine Cummins diesel marine 6BT5.9-M120	90/2200 100/2270 Turbocharged cummins marine engine Cummins diesel marine 6BTA5.9-M150 110/2200 120/2270 Turbocharged and intercooled cummins marine engine All of the engine are with CCS IMO certificates! cummins marine engine. Cummins diesel marine 6BTA5.9-M150. We manufacture and repair bigend and main bearings for marine diesel engines (job work on order) (skoda, man, sulzer, pielstick, skl). All size any type. Wartsila marine propulsion engines 9L20, 1800KW - 2pcs with ZW gearbox ( ratio 3.407 ) for sale Year 2003. Working hours 6075.